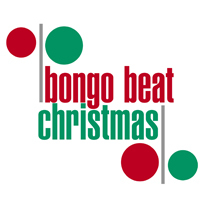 A fantastic collection of Christmas and related Holiday songs by Bongo Beat artists. * previously unreleased. Leave it to Ari to rock out a power pop Hannukah tune. * previously unreleased. Yes, those are The Waves (sans Katrina); Kimberley Rew, Alex Cooper, and Vince de la Cruz with special guest Robert Hart (singer with The Jones Gang featuring Kenney Jones) on their Eurovision song winner; a positive message for peace written by Kimberley Rew. * previously unreleased. Just wonderful!!! Recorded in northern Ontario in her home studio in the woods. * previously unreleased. This was recorded live way back when in 1995 or so on CFRO Radio, Vancouver, on the ABC show hosted by Andy Creeggan. Ralph brought along his good friend Graham Brown on acoustic guitar to sing some Christmas songs and Andy joined in on vocals. For years, this was played on CBC Vancouver thanks to the great David Wisdom. * previously unreleased. Brand new and fantastic from Kevin Kane (ex-Grapes of Wrath). Bedsit Poets - New Year * from the album, Rendezous. Johnny Dowd - Christmas Is Just Another Day * Bah, humbug from the album, Cemetery Shoes.